Daniele Nestola and his friends look like they'd be fierce zombies. 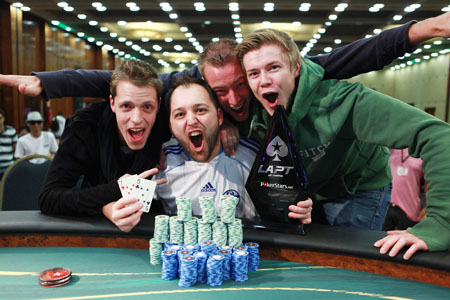 While not quite 2011 Erik Seidelian, not a bad start to the year for Daniel Negreanu. 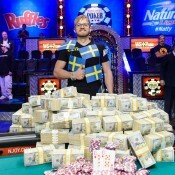 First, he banked over $250,000 at the Aussie Millions Super High Rollers event. Then he dropped a widely popular poker zeitgeist vlog on Full Tilt. He quickly followed that up with a final table appearance at the LAPT Grand Final. 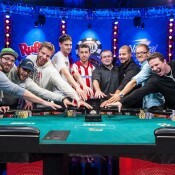 Negreanu ended up finishing sixth, banking $48,730. The event was won by Daniele Nestola, not a woman. Nestola takes home $289,300. * Photo courtesy of PokerStars Blog.